SCS is still working on the Beyond the Baltic Sea map expansion for Euro Truck Simulator 2. 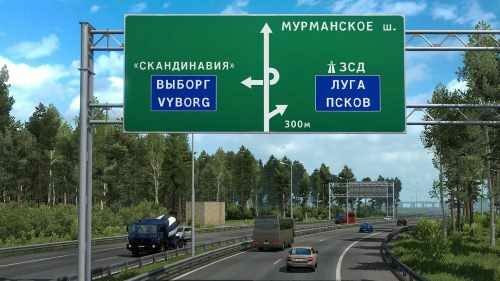 This time their attention is focused on the Saint Petersburg area where the Western High-Speed Diameter is located. The DLC will be released later this year and will include three Baltic states of Latvia, Lithuania and Estonia, and also south of Finland and parts of Russia.